Moon Hill Jamaica Villas & Tours offers events management and catering for dance parties, dinner parties, weddings, receptions, intimate concerts for clients across Jamaica. 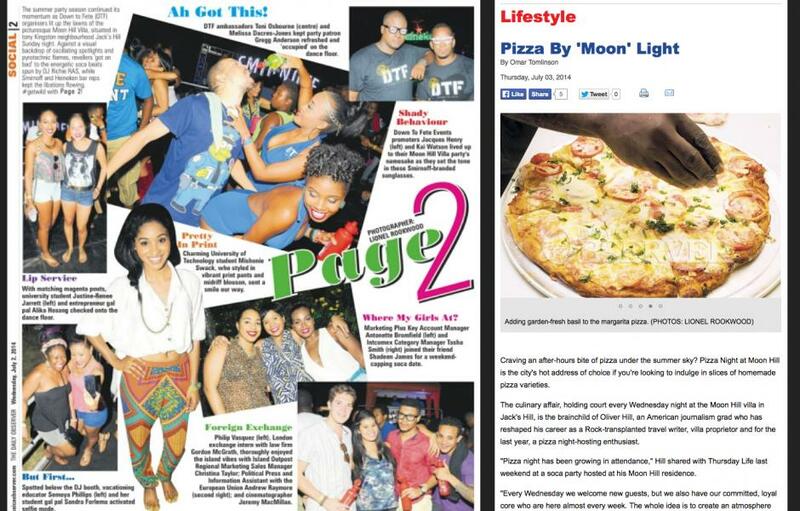 The events management activities of Moon Hill Jamaica Villas & Tours grew out of weekly pizza nights once held at the private home of travel author Oliver Hill, which catered to his family and friends. Moon Hill Jamaica Villas & Tours offers Jamaicans and foreign visitors the best insight and booking services for tours, leisure activities, restaurants and accommodations across Jamaica. 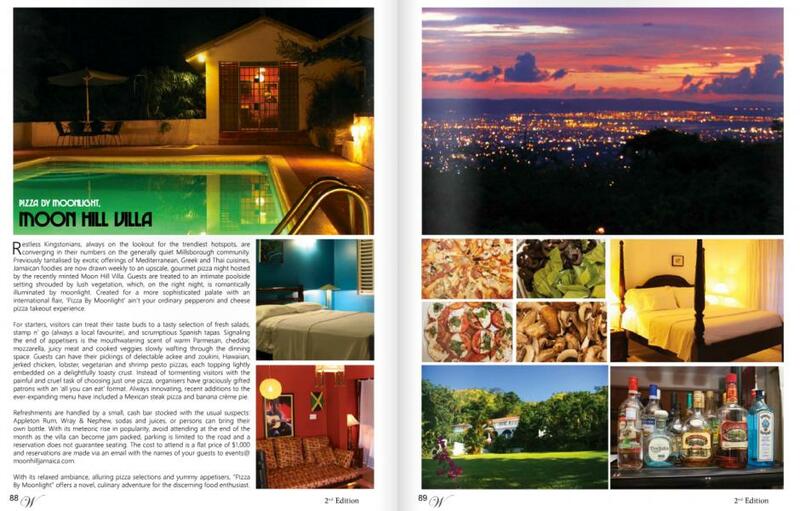 Visit the author's interactive travel guide and reservations platform at www.moonjamaica.com.